Made of quality polyester linen fabric, fully-lined, non sheer and not stretchable. 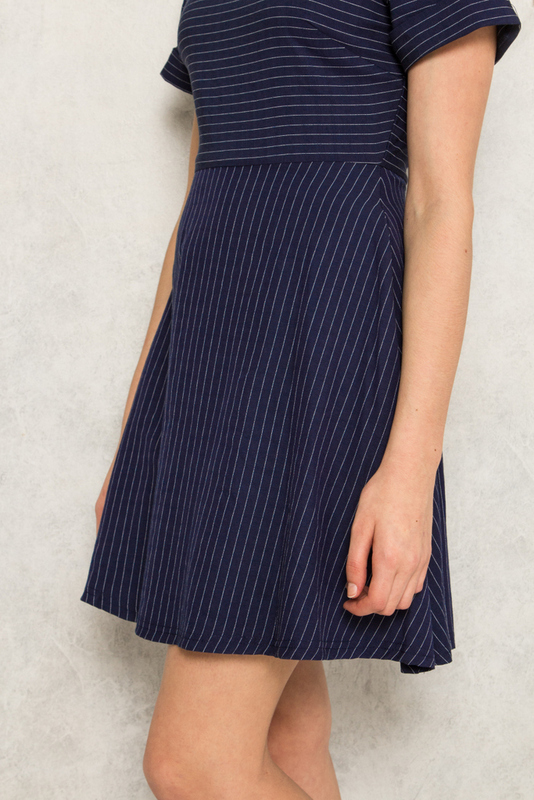 Features stripes, folded hem sleeves and made in a skater dress cut. Complete with a concealed back zip and comes with functional side pockets. *Note: Placement of stripes may differ slightly due to the cutting of fabric.